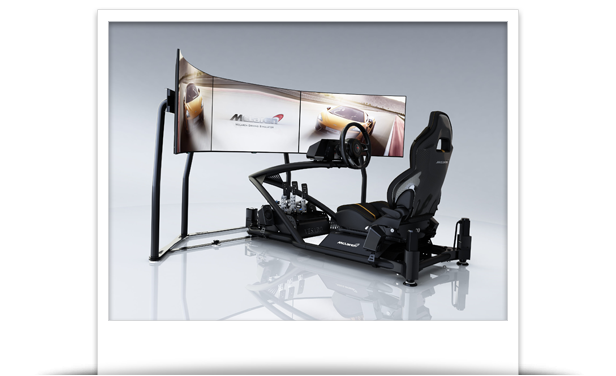 Each McLaren range features different simulator models that offer increasing levels of performance and features, including full motion, intelligent tactile feedback, wraparound immersive displays, professional direct drive force feedback steering systems and optional virtual reality headsets. 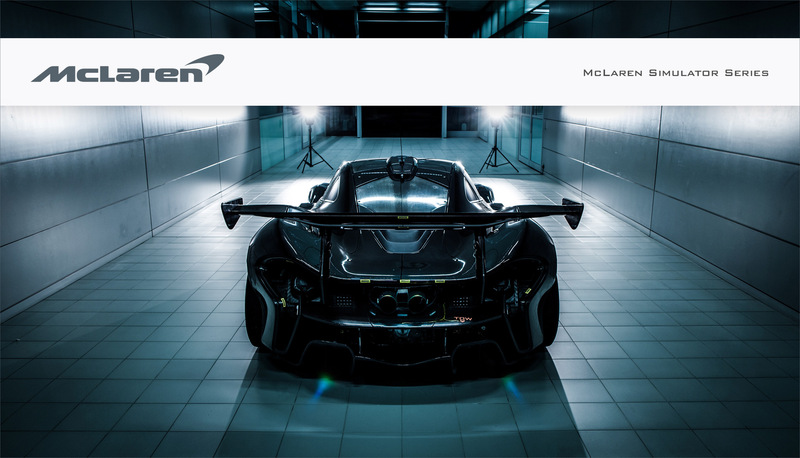 The simulators use authentic components taken directly from the McLaren vehicles themselves, ensuring the highest quality and most authentic McLaren experience possible. One of these key components is the steering wheel; a genuine McLaren production wheel as used in models such as the 570S. 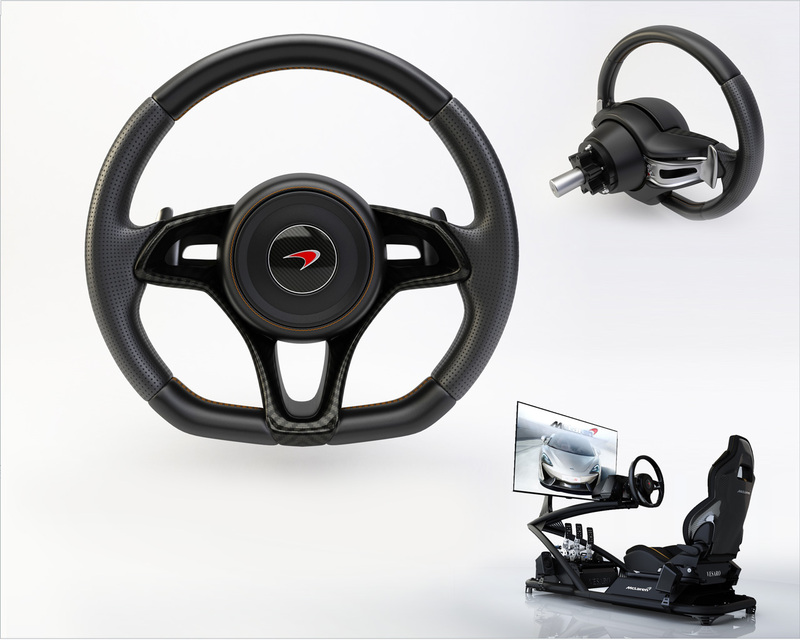 The wheel also incorporates the same paddle shifters, replicating the paddle shift gear-change feeling and solidifying the link between simulator and car. 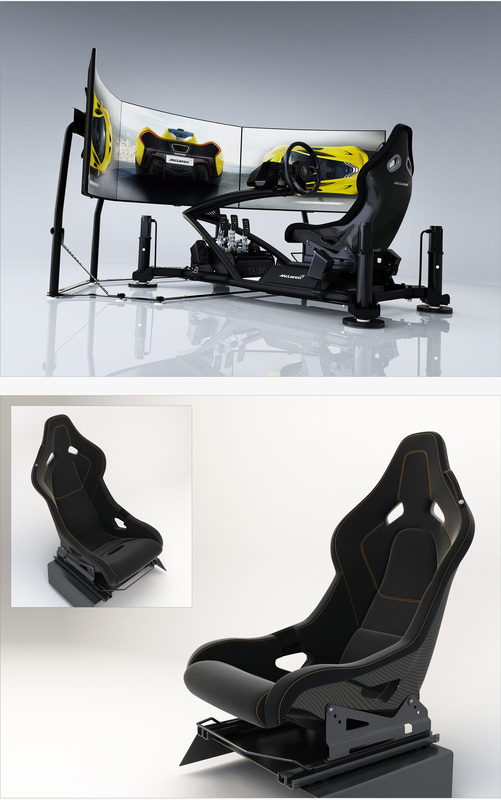 Certain models include a fully electric adjustable seat with the full range of adjustments available in the road car, including lumber support, height, distance and recline functions. 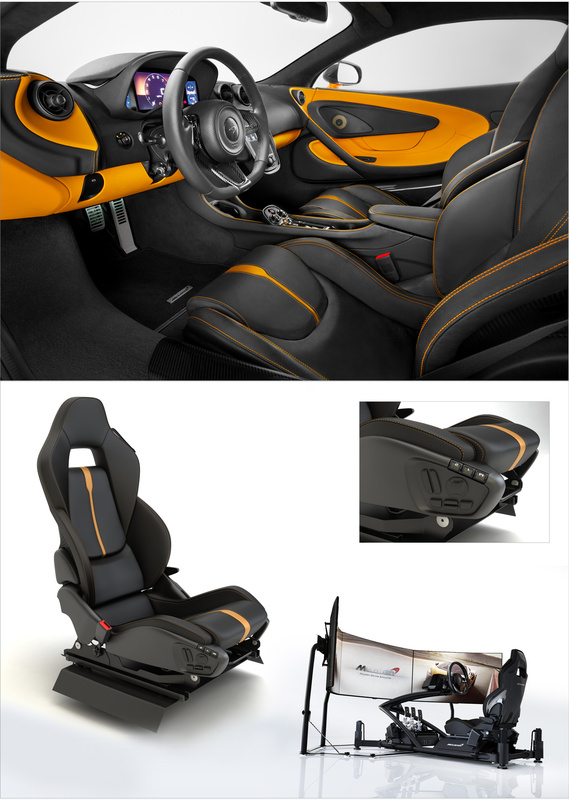 This allows the user to obtain the perfect seating position and ultimate comfort for the McLaren simulated experience. Across the Sports, Super and Ultimate ranges, various features will be available, including professional direct drive force feedback steering systems, cutting edge D-BOX motion technology, on-board integrated audio and on-board integrated computer, intelligent tactile feedback and a range of software providing real-world circuits from across the globe and a wide range of virtual McLaren vehicles to drive. The motion technology offers up to 3-Axis full rig movement with Heave, Pitch and Roll, as well as multi position intelligent tactile feedback vibrations. The motion fully recreates the suspension and vehicular movement of the real McLaren vehicles; the intelligent vibration replicating the road feel, engine vibration and other tactile sensations. 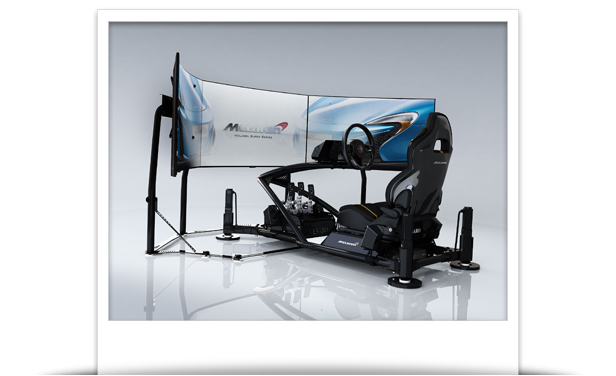 The McLaren simulators include fully on-board integrated audio systems, utilising low profile subwoofers discreetly located underneath the seat and audio amplifiers built directly into the simulator. This type of audio solution provides the most discreet and streamlined solution with no components plugged in separately from the simulator. 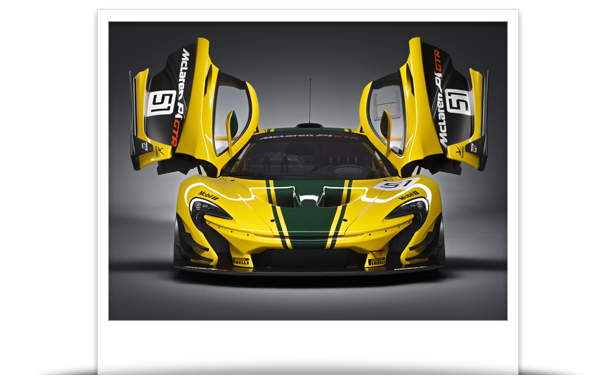 The McLaren simulators are compact in design and require nothing more than two standard household plug sockets, making them ideal for any home without the need for any special power requirements. All simulators include the option to have our expert team of technicians install in your home and provide complete training for best usage and operation of your simulator. 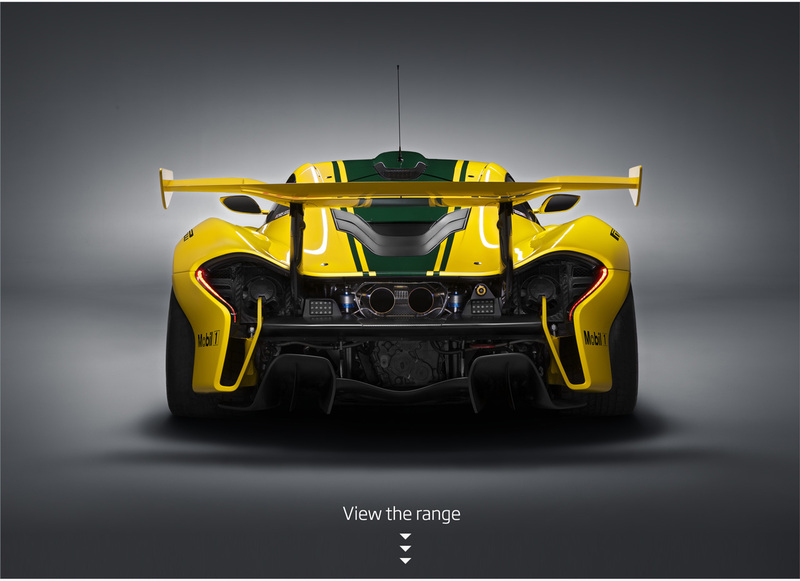 Contact us for more information or add this by clicking the "Customize" button and selecting the relevant service from the "McLaren simulator On-Site Services" category. 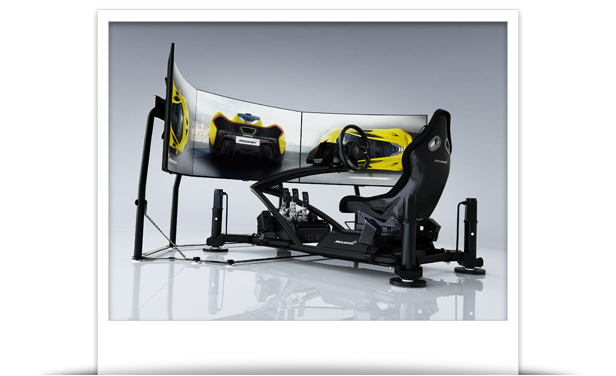 Simulators include a 2 year warranty with 7 days per week telephone support, remote PC login support and a full restore PC image backup. 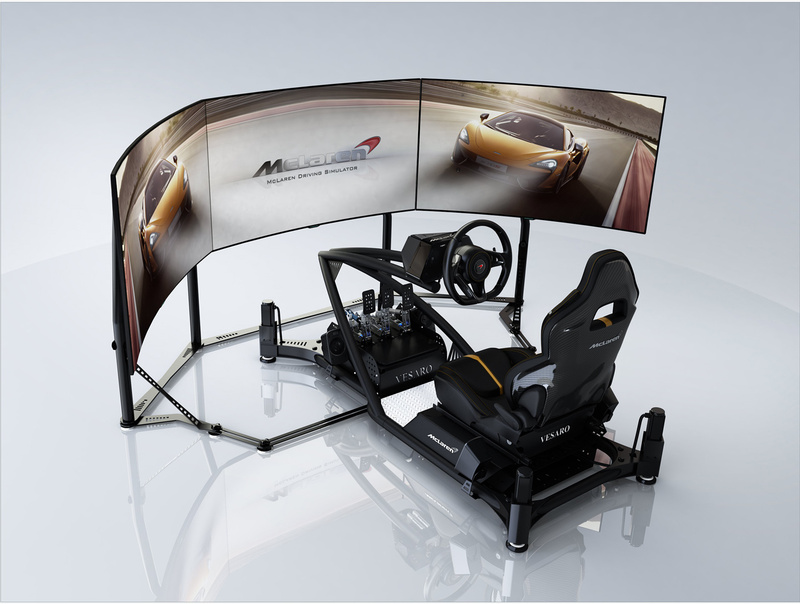 The McLaren Sports, Super and Ultimate range of simulators for home use.